The National Maritime Museums. Cutty Sark. Queen’s House. The Royal Observatory. The heroic Vice Admiral Nelson, to the point at which east meets west, and a glimpse into the limitlessness of space. How on earth do you pull it all together? Especially alongside the launch of a new brand. This is the challenge facing Royal Museums Greenwich (RMG), and they’ve brought Digital Visitor on board to meet the challenge in social media. Over the coming weeks, our Head of Strategy – with the support of our social media experts – will be bringing together a social media strategy, written to help RMG take full advantage of the possibilities of social media. Using data, insights and advance social media attribution techniques, we’ll be looking to reveal RMG’s key audiences and better understand demographic hotspots to bolster and boost the popularity of some of London’s best-loved visitor attractions. Alongside our strategic work with RMG, we’ll be partnering to deliver a cross-platform awareness advertising campaign. Targeting international audiences, we’ll be employing sequential and retargeting tactics to drive sales and visits to the attractions. Centered around three short films, we’re aiming to bring Greenwich alive to international audiences. With a new brand and so many diverse and interesting strands of British heritage and history to pull together, it’s essential that we connect the RMG experience together in a single vision and strategy. As one of the UK’s top 10 attractions, it’s our ambition to become ‘the place’ to discover sea and space exploration, pioneering architecture, art and British history. Naturally, social media, digital content and email marketing are central to that ambition and will play a key role in repositioning our brand and growing reach, revenue and reputation for RMG the world over. Digital Visitor came to us as a recommendation and, so far, that endorsement has rung true. We’ve been impressed with their positive attitude, creativity and detailed approach to their work, and have no doubt that they will lead RMG’s social media strategy and, ultimately, brand in the right direction. It’s a fantastic feeling to welcome aboard our first major London-based attraction, especially an organisation as prestigious as RMG. It only serves to cement our view that social media is, quite rightly, taking centre stage in travel and tourism marketing. The greater data insights and attribution models being employed on this project will enable us to define and deliver the right strategy for RMG. More than anything, we’re excited to be able to put our strategic abilities to full use for such a fantastic client. Royal Museums Greenwich is an organisation comprising four existing museums within a UNESCO World Heritage Site in Greenwich, London. 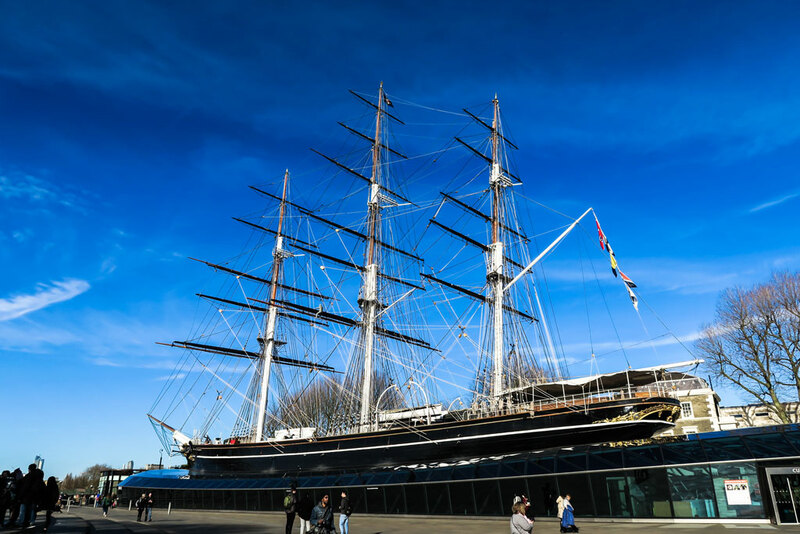 A top-10 UK visitor attraction, Royal Museums Greenwich is home to the Royal Observatory Greenwich, the iconic historic sailing ship Cutty Sark, the National Maritime Museum and the Queen’s House art gallery. A social media veteran of over 10 years, Digital Visitor prides itself on connecting its clients with their most valuable audiences. Specialists in providing strategic social media marketing solutions to the travel and tourism industry, Digital Visitor has worked with a range of renowned international clients including All Nippon Airways, Visit Eastbourne and Visit Japan.